The Great Smoky Mountains get their name honestly. 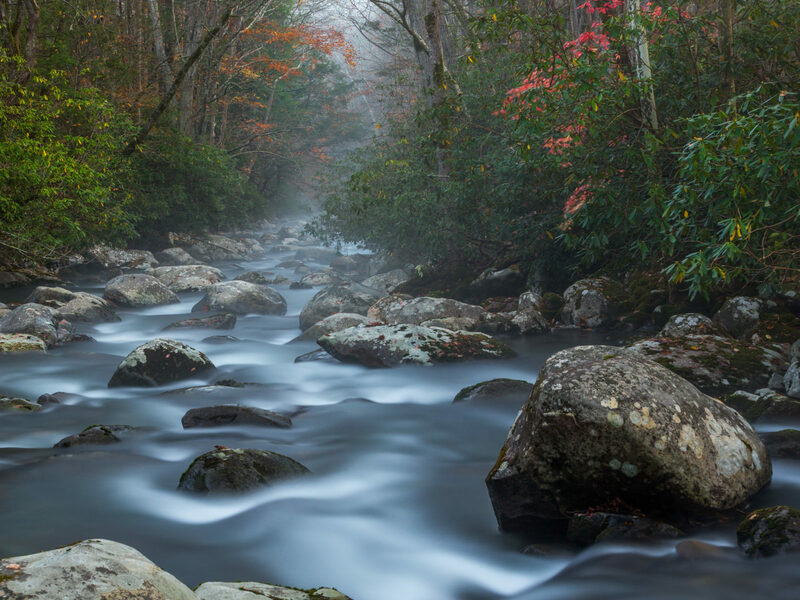 A little before sunrise on one of the last days of Fall in the Smokies I captured this long exposure of Porters Creek near Greenbrier. It was a freezing 28 degrees and frost had built up in many parts of the foothills leading up to the creek.